Katja Böttcher joined LALIVE’s Zurich office in 2015 as a Legal Project Manager, coordinating the firm’s major legal and compliance projects. She has wide experience in international criminal and forensic investigations, in particular in financial investigations, organised crime, asset tracing, money laundering, corruption and stock market offences. 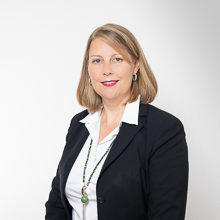 Before joining LALIVE, Katja Böttcher worked for the Swiss Federal Police leading a team of financial investigators, in close cooperation with the Office of the Attorney General. Prior to this, Katja Böttcher trained as a tax consultant with a leading consulting firm. Katja Böttcher is a member of the Swiss Association of Experts in Economic Crime Investigation, the Swiss Association of Criminology (“Schweizerische Kriminalistische Gesellschaft”, SKG) as well as of Ethics and Compliance Switzerland (ECS) and an active member of the Anti-Bribery Working Group thereof. Katja Böttcher graduated 1999 in Law from the University of Zurich (lic.iur.) and holds a Master of Advanced Studies in Economic Crime Investigation (MAS ECI, 2007) from Lucerne University of Applied Science and Art. For more information, see the presentation and l’article published on the event.